The cleansing device engineered for men's skin. A closer shave. A cleaner beard. Smooth, healthy-looking skin. Alpha Fit by Clarisonic removes oil, sweat and debris 6x better than hands for healthier looking skin. Men's skin is different. Alpha Fit by Clarisonic is engineered to get men's skin cleaner and healthier looking clearing away oil, dirt, and sweat 6x better than hands while prepping face and neck for a smoother, closer shave. 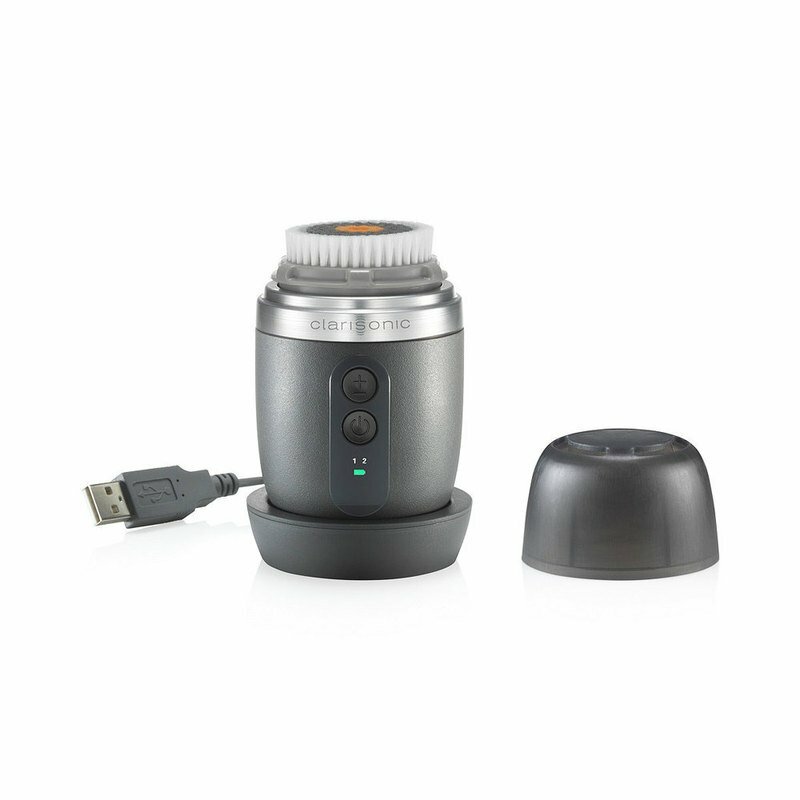 Alpha Fit by Clarisonic has patented engineering designed specifically for men's thicker, oilier skin. Sonic technology drives each rounded filament to oscillate back and forth at more than 300 movements per second to massage hair follicles, prevent ingrown hairs and loosen oil in the pores. BRUSH HEAD: With an average of 27,600 filaments per brush head, the New Men's Brush Head by Clarisonic has patented DuPont elastomer filaments that are super flexible for maximum torque and a deeper, more invigorating cleanse and shave prep. CLEANSER: New Men's Cleanse by Clarisonic lifts and removes dead skin, oil and debris with Lactic Acid, Aloe, Ginseng and Caffeine. Fast-lathering gel formula with Aloe soothes skin post shave and helps soften and purify an existing beard. PROTOCOL: Single button to control two powerful 60 second settings. Sophisticated, modern design with an easy, intuitive interface. Compact, waterproof design fits in the palm of your hand. Rechargeable battery with LED battery life indicator.